Made from high-pressure polyethylene (LDPE), this film blower integrates the design advantages of foreign products with high plasticity. It’s the special equipment for valve bag manufacturing, with its products widely used in the packaging of food, clothing, pharmaceuticals, metal parts, accessories, and daily necessities etc. The main valve bag products include general-packaging valve bags, color valve bags, double-saddle bags, and frozen valve bags etc, which are all sealed ones. 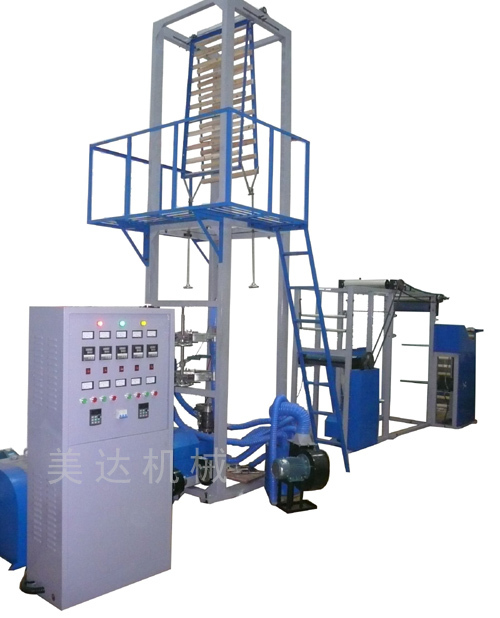 The valve bags produced by this machine boast such advantages as convenience to open the buckle, high fastness, and fine tightness etc. We use low density polyvinyl chloride LDPE as our raw material and our products can be used to package food, fruit medicine , documents , industrial products , cloting, fabric and industrial products for civil use .